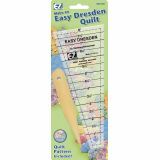 Easy Dresden Quilting Ruler - EZ QUILTING-Make an easy Dresden quilt with this ruler. Measures 1 to 8. 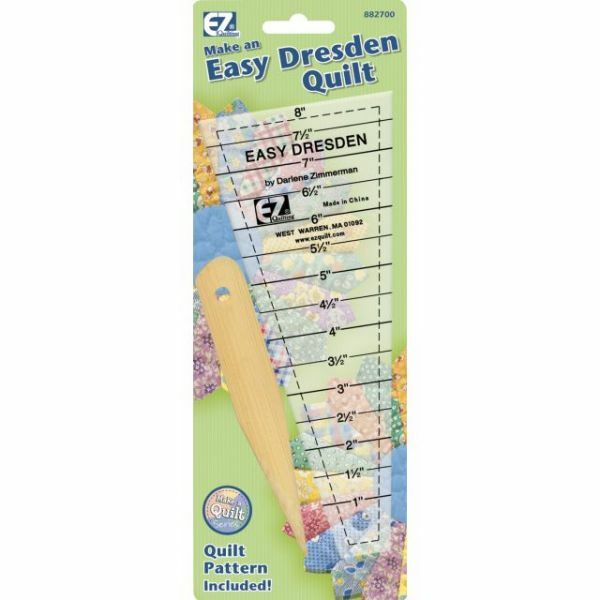 Set includes: step-by-step quilt instructions, Easy Dresden Acrylic Tool, and Bamboo Pointer and Creaser Tool. Ruler is clear. Quilt pattern included!